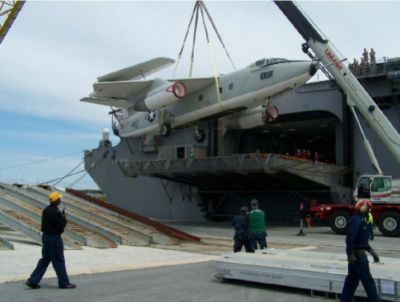 146457 shown above being loaded on board the USNS Seay. 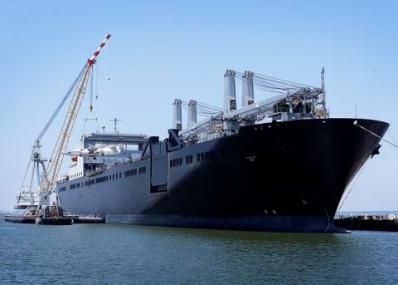 It is now tied down aboard the Seay and is scheduled to arrive in Charleston on July 1 to be offloaded and transfered to the Yorktown shortly thereafter. On load 146457 on June 28, and depart for Charleston June 29. Arrive in Charleston July 1 and berth at the Detyens Shipyard. This report from A.A. Gallotta, our man on the ground and in charge of oversight. 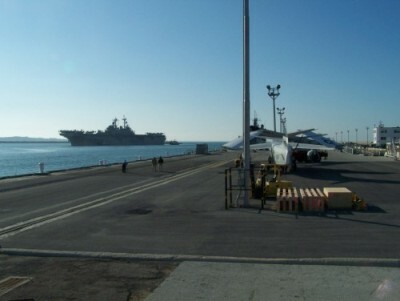 EA-3B, 146457, is currently setting in Norfolk, Va. after being returned to the states from Rota, Spain. 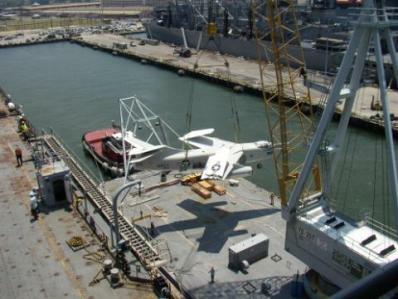 It was earmarked for delivery to the USS Alabama museum in Mobile, Al. 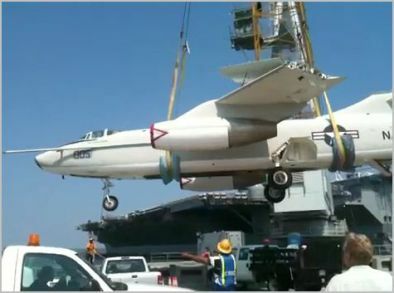 It has been reassigned to Patriots Point Museum in the Charleston's harbor. 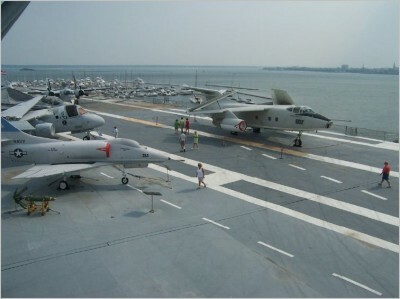 Helen Watson, loan manager for the National Museum of Naval Aviation, and controller for all navy aircraft museum inventory, made the arrangements and received permissions from both parties to facilitate the redirection of 146457. 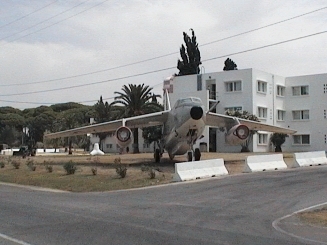 The A-3 Skywarrior Assn. was consulted and although the final decision rested with them, we concurred and will help bring this aircraft to Patriots Point where it will be displayed proudly. The Battleship USS Alabama is now assigned the second flyable A-3 from Raytheon when those aircraft are scheduled for release. Any funds remaining after 146457 is in Charleston will be applied towards relocating the next assigned A-3 to Mobile. 146457 parked pierside at Chambers Field, Norfolk, VA. awaiting a lift to Charleston Harbor for transfer to the USS Hornet. The A-3 Assoc. representative handling operations locally is Al Gallotta, Jr. RADM USN Ret.